I've often heard artists talk about scale as "big." I believe it really refers to "looking big" which is achieved by having something small next to something big, like a small rock next to a bigger one. 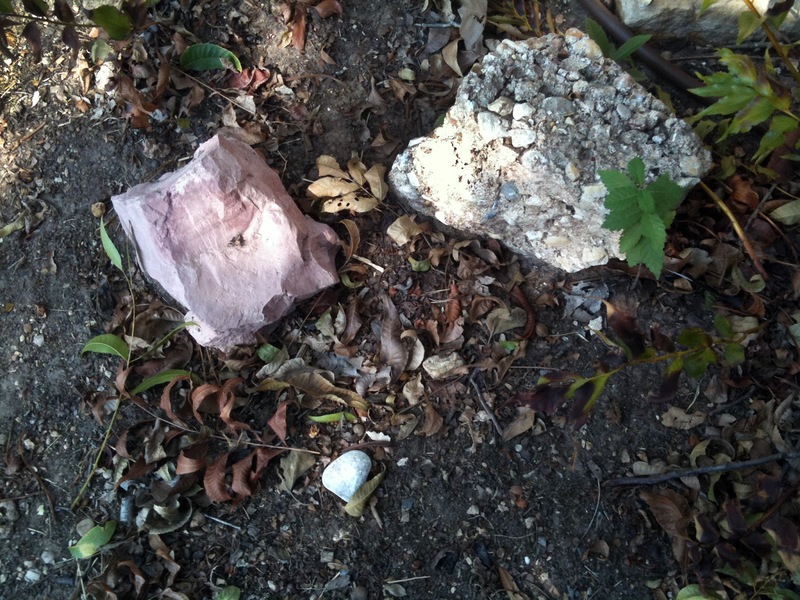 Notice the stunning color of the one rock, and the texture of the ordinary (not so attractive) piece of concrete. There are some live plants, and some not so live plants. A virtual world, just when I step out of my car. I would have walked right by that! H.